My name is Katherine and I am a sale-aholic. Actually, I am even worse than that. I am an online sale-aholic. While I have been trying to limit my spending on fruitless items (I am sipping my Starbucks Chai from home right now rather than marching out into the rain like I usually would to the Starbucks across the street), I have been allowing myself a certain flexibility with buying items I NEED. 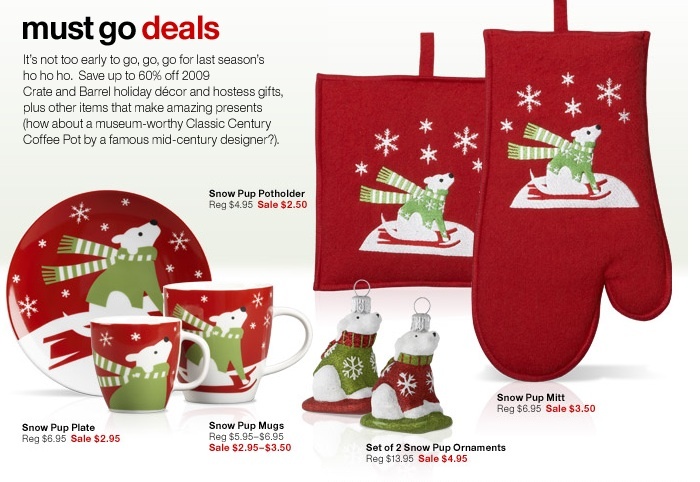 Like these Snow Pup mugs and plates. I NEED these, right? Especially since they are 60% off, and match those Snow Pup potholders I got a few months ago on discount? Good. Done. I can host Christmas gatherings with confidence now. 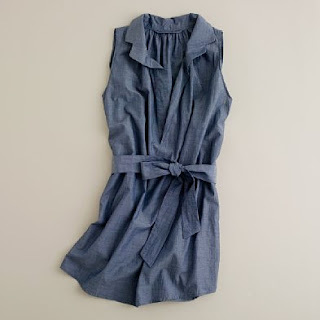 And what about this lightweight tunic from J Crew, that was on final sale and I grabbed one of the last smalls? Only $15 is okay, right? Especially since we are supposed to do post-seasonal shopping to get the best prices? 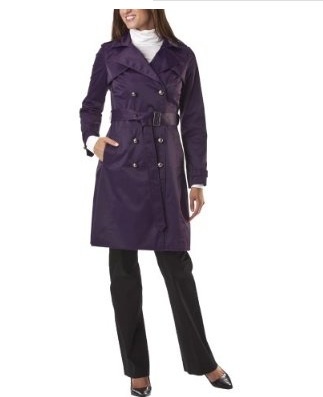 I mean come on, you just can't pass up a deep purple high-end-look trench coat, perfect for cool rainy days like today, when it was only $18 after shipping, down from an original $50! ... Is there an Anonymous Shoppers Association? Gah I'm the same - just bought new "work clothes" from J. Crew after i was sent an e-mail about a sale. Somehow it's still saving money even if it's money I wouldn't have spent in the first place. . .
long time lurker, but I finally got my blog active again.